Red Lined is not "some" Nissan Team, Red Lined is "The" Nissan Team. What today are the Overdrive Toyota Hilux, Nissan was before - invented and built in South Africa. 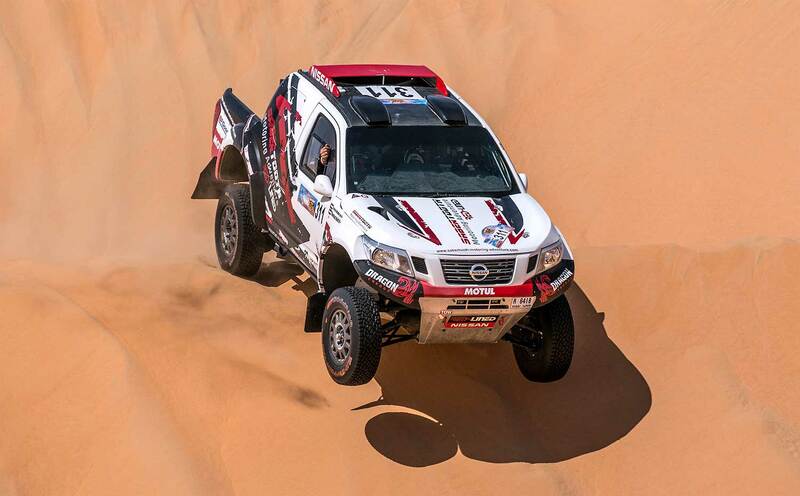 And Nissan will be back - with the all new Nissan Navara Rallyraid. 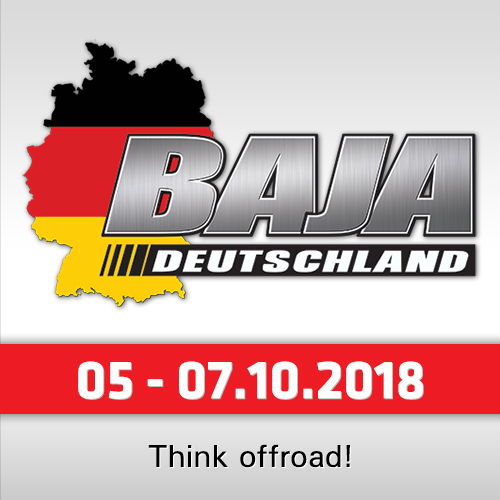 The car had it´s premiere in the final South African Cross Country Championship round last year, then the first car ran at the Dakar (with the German Juergen Schroeder), later in the "Ha´il Saudi Rally" and "Dubai International Baja". Marsh / Greyling were the best Nissan Navara crew in the race, after SS02 the reached the Top 10 overall and managed the 8th position after SS03. 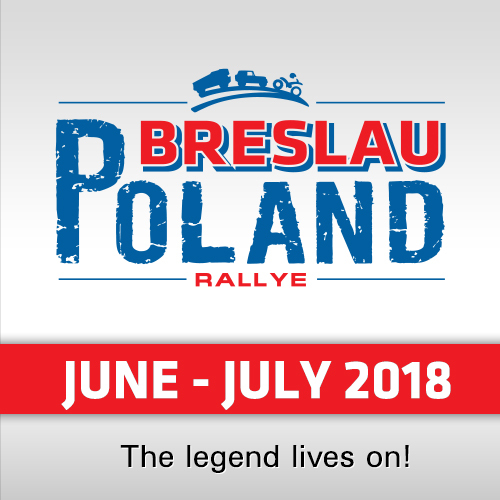 But while the second Nissan of Thomas Bell and Patrick McMurren could reach the 9th position in the daily rankings after SS04 (Wednesday), the stage became a nightmare for Marsh and Greyling. 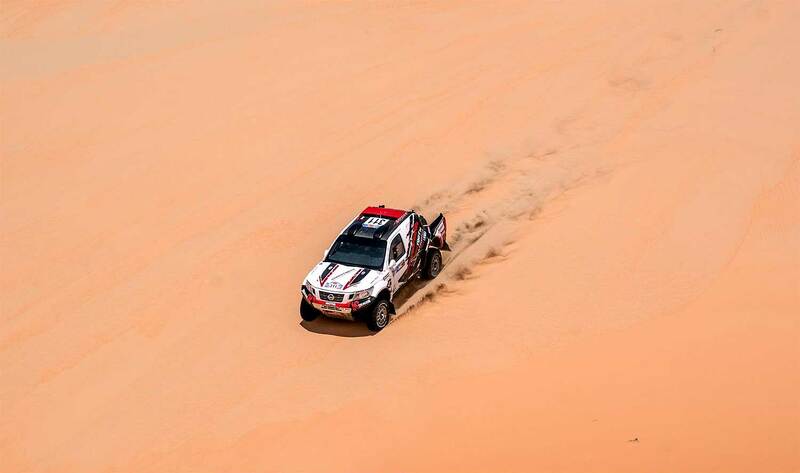 "After moving up to 7th overall in the event during the first 150 km of the 280 km dune stage, life seemed pretty good and going according to script... but then at km 177 we broke a rear driveshaft thereby losing 4wd while in the middle of some really big dunes," Marsh reported after the stage. "Needless to say it quickly became a nightmare as myself and Riaan tried to get ourselves out of the dunes with just power to our front wheels - and this in the middle of the day with external temperatures above 40 degrees and the sand at it softest! 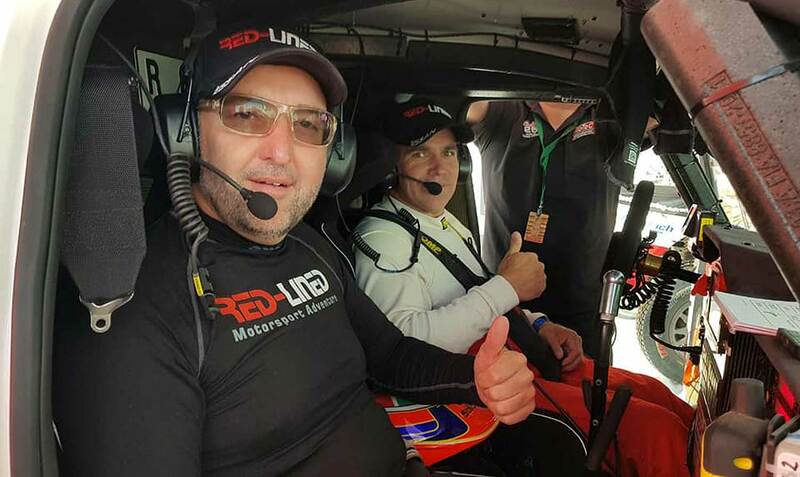 After dropping the tyre pressures dramatically, executing several recoveries with our sandladders and then driving out in motocross style as momentum was our only option at the time with just having 2wd... we eventually managed to escape the dunes." 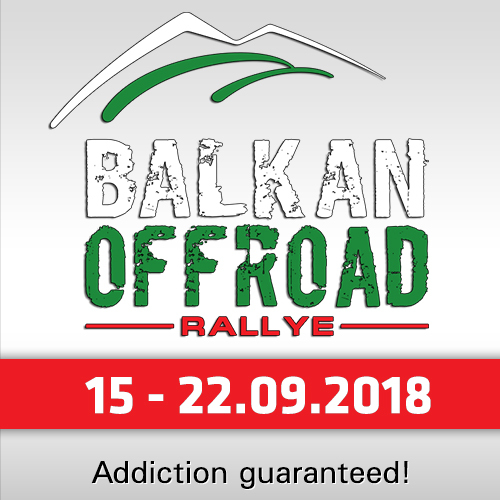 "Thereafter some mechanical work was required to remove the damaged driveshaft before making our way to the end of the stage in 2wd which meant we had to miss several waypoints in the process as getting back into dunes to collect these waypoints was not an option. The result thereof was more than five hours of penalties which saw us come tumbling down the leader board at pace!" But giving up is not an option: "Thursday will try and fight back... let's see how this adventure ends!"